Although the ropes look thin compared to most, the elevator cab was very small and so it had a correspondingly low capacity. The ropes, made of steel, are connected to the counterweight on one end, and are connected to the elevator on the other end. 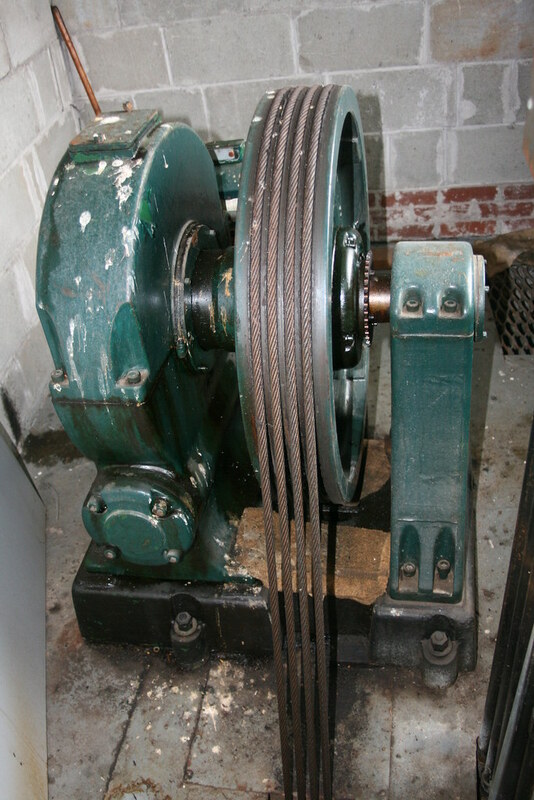 The ropes are slung over the traction sheave, which is driven by the motor, causing the elevator to move accordingly.